At Retro Relics, we pride ourselves in providing you the best smoking and detox products on the market. 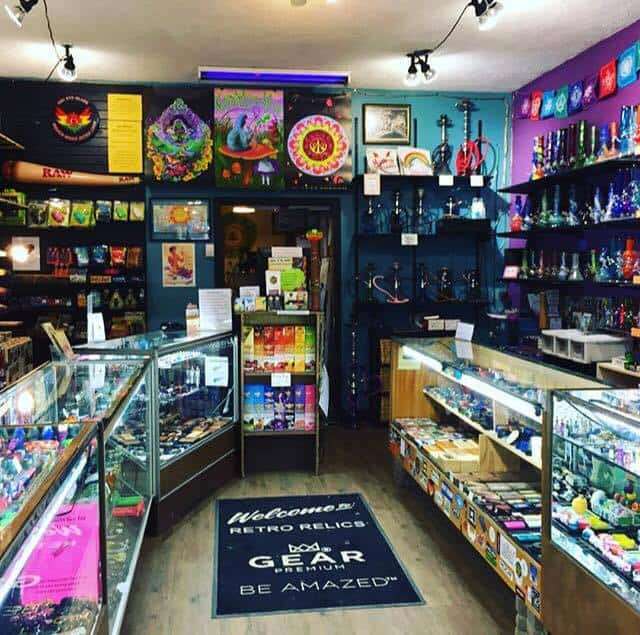 Find that perfect pipe or bong, browse our selection of medical marijuana books, get advice on cleansing drinks and drug testing products, and much more. We weed out inferior products so you don’t have to! Retro Relics Hemporium and Bazaar first opened up in 2001, as a small alternative culture shop in Grande Prairie, Alberta. Retro Relics is proud to support independent glass artisans at home here in Canada in addition to the brands you have come to know and love. All Orders 18+ Years of Age. Thank You.